For the water bond on the November 4 ballot, Governor Jerry Brown, California Farm Bureau Federation President Paul Wenger and Nature Conservancy California Director Mike Sweeney wrote the ballot argument in favor of Proposition 1. 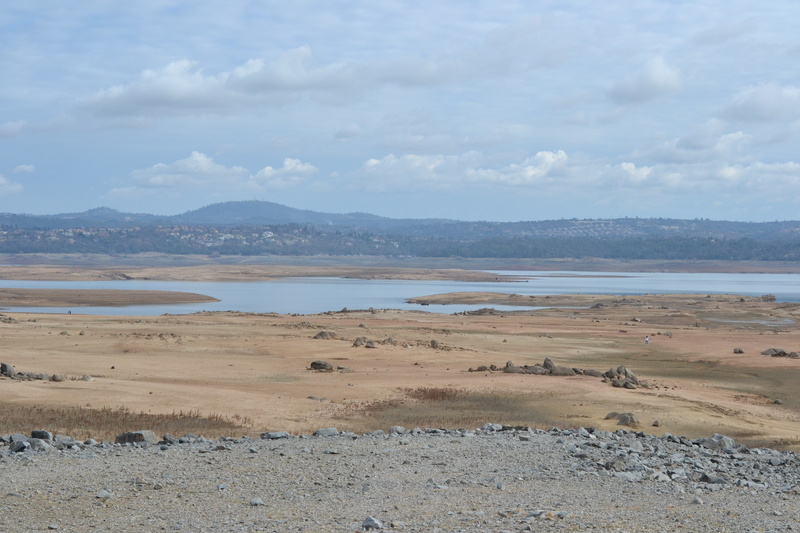 California is in a severe, multi-year drought and has an aging water infrastructure. That is why Republicans and Democrats and leaders from all over California came together in nearly unanimous fashion to place this fiscally responsible measure on the ballot. Proposition 1 will not raise taxes. It is a no-frills investment in critical projects that doesn’t break the bank—it even reallocates money from unused bonds to make better use of the money. California’s economy depends on a reliable water supply. Proposition 1 secures our water future, keeps our family farms and businesses productive, and puts Californians to work building the new facilities we need to store, deliver, and treat water. 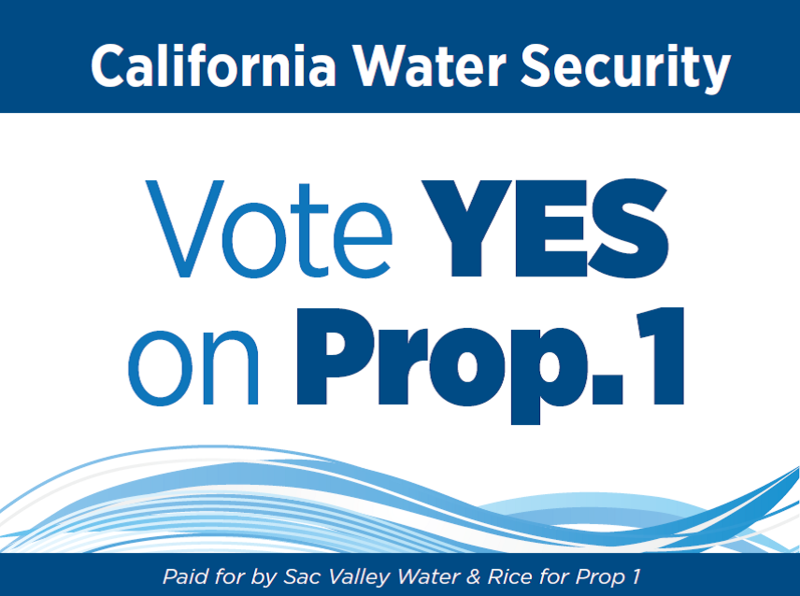 Proposition 1 will clean up our contaminated groundwater which serves as a critical buffer against drought by providing additional water in years when there is not enough rainfall or snow. Proposition 1 expands water recycling and efficiency improvements making the best use of our existing supplies. Proposition 1 provides funding for clean drinking water in communities where water is contaminated. 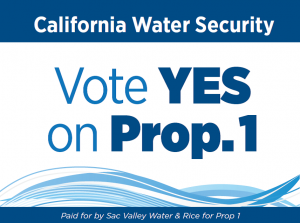 Proposition 1 invests in new water storage increasing the amount of water that can be stored during wet years for the dry years that will continue to challenge California. Proposition 1 protects California’s rivers, lakes, and streams from pollution and contamination and provides for the restoration of our fish and wildlife resources. PROPOSITION 1 CONTAINS STRICT ACCOUNTABILITY REQUIREMENTS INCLUDING ANNUAL AUDITS, OVERSIGHT AND PUBLIC DISCLOSURE TO ENSURE THE MONEY IS PROPERLY SPENT.